JOYPURHAT, Feb 10: Garlic peasants of Joypurhat district are optimistic of bumper output this season as they have been provided with all sorts of necessary agro-inputs during sowing seeds. According to Department of Agriculture Extension (DAE) office sources, the peasants have already planted garlic on 600 hectares of land and expect to produce over 300 tonnes of garlic if the weather condition remains favourable. The peasants are passing busy time caring the spice filed. The farmers had sowed the spice in last November and they are hopeful of harvesting the produce next month. The garlic growers emphasised on the farming in a large scale this season as they had made good profit last year. They got both fair market price and bumper output in the previous year with the assistance of the authority concerned. To make the farming a grand success, the authority has distributed fertiliser like Diammonium Phosphate (DAP) and Muriate of Potash (MOP) fertilisers as incentive and quality seeds among the farmers of the agro-prone area. 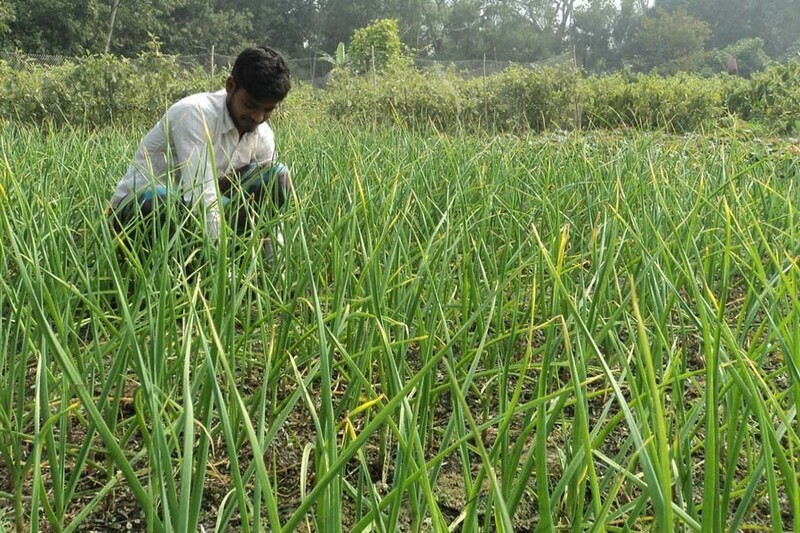 Farmer Waliul Islam under Akkelpur upazila said he has sown garlic on two decimals of land spending Tk 2,200 this season according to suggestion of DAE. He is expecting to achieve two maunds of fresh output from the crop land, he added. A good number of female farmers have been involved with the farming as they had got noticeable benefit previous year, said Sub-Assistant Agriculture Officer Azizur Rahman. The peasants have been given short- term training from agriculture offices across the region, he added. DAE official said we have encouraged the extreme poor peasants to bring vast crop land under garlic cultivation this season. The farmers are working hard to get bumper production across the district, DAE added.